An Andrew Martin mirrored steel cube storage chest with chrome studded trim, black leather handles and snap trunk locks. This side table is a stunning addition to any interior. 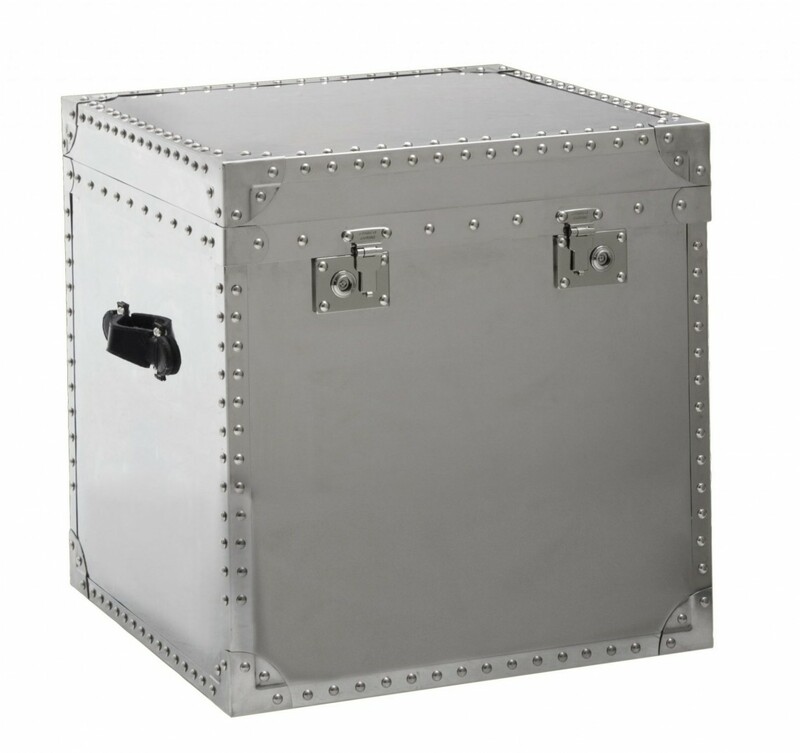 This beautiful Andrew Martin Steel Chest, comes with soft black leather handles and metal stud detailing. It’s bold proportions and chrome finish ensure it can be used in a wide variety of interiors. From an urban cool apartment bedroom, a charming Cotswold converted barn or even a chic mountainside ski chalet.